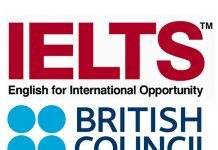 RIM is pleased to announce that the IELTS registration for August 18, 2018 is now open. Please read the following instructions for smooth registration. Registration for Free IELTS preparation/tutorial: RIM provides 8 days of free preparatory tutorial which is not mandatory based. Therefore, individuals who are interested to attend the free class can kindly give your name lists to Mr. Ugyen Sonam while submitting your demand draft.